Ahlen, July 2011. 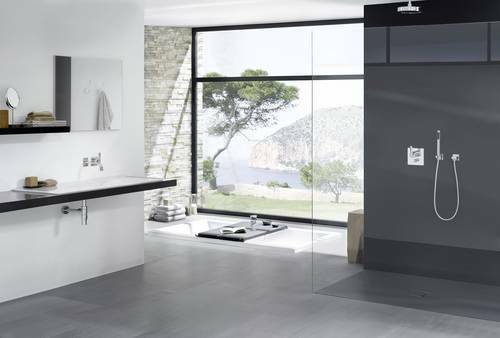 – Bathe, moisturise, done – that used to be how relaxing in the bath ended even as the bathroom, with its high quality, elegant fittings, increasingly became a designer-standard oasis of peace for relaxation and caring for body and mind. The “retreat” atmosphere is complemented perfectly by Kaldewei’s aesthetic Relax Lounger, which transforms the bath into a lounger in moments. Kaldewei’s Relax Lounger creates a homely yet stylish ambience of the highest design quality, and thus noticeably increases the desire for the sensuous experience of “bathing”. The Lounger consists of three hand sewn upholstered elements in exclusive imitation leather. This water-repellent material has been used on luxury sailing yachts for many years. 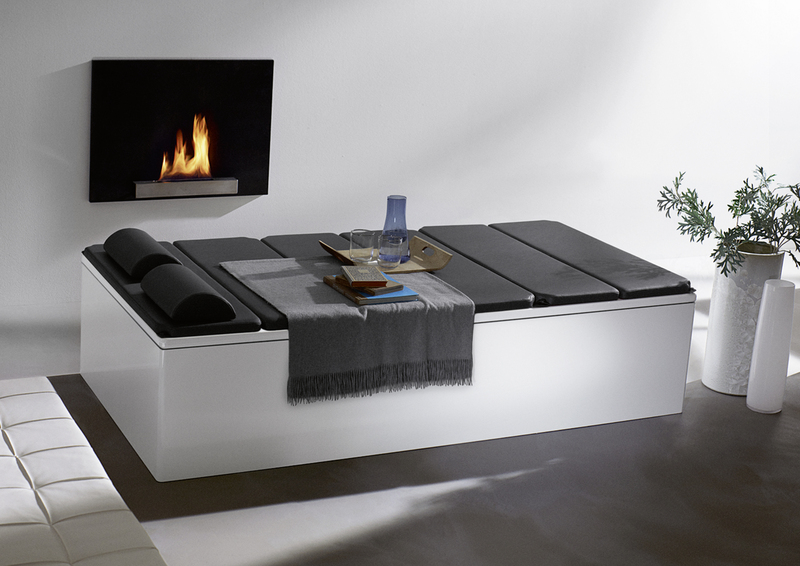 The individual elements of Kaldewei’s Relax Lounger can be used singly or together. They can be connected by pressure points to form a large lounging area over the whole bath and attached at the corners, turning it into an inviting resting area with an additional cushion. 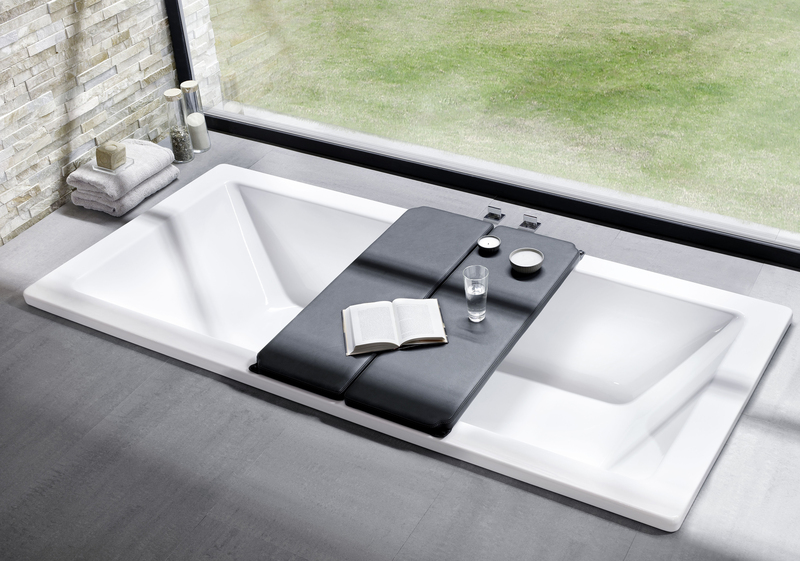 One single element can be positioned across the middle of the bath to form a bath bridge to ensure that books, magazines or drinks remain within easy reach while bathing. The elements of the Relax Lounger can also be used as a seat to provide maximum enjoyment of the body care experience. There is a choice of four colours, each of which is suitable for a different individual room interior: anthracite, beige, crimson and choc. With its exceptional combination of functionality, aesthetics and lasting quality, the Relax Lounger also appealed to the jury of the renowned iF International Forum Design, leading to the iF product design award 2011 and the Ahlen-based company’s 61st design award. Since 1953, the iF product design award has been deemed a trademark for rewarding good design. This year, a total of 1121 participants from 43 countries entered 2756 products in 16 categories for the desired award. Kaldewei Relax Lounger – anthracite. For ideal relaxation after your bath, Kaldewei has created the perfect bath accessory in its Relax Lounger. Its extraordinary qualities also convinced the jury of the renowned iF International Forum Design, which presented the Lounger with the iF product design award 2011.